FARREN RAY has announced his retirement from AFL football after 13 seasons at three different clubs. Ray, 30, managed just four games with North Melbourne in his only year at the club after being picked up in the rookie draft. His season was marred by a serious hamstring injury and a concussion and he realised prior to the end of the season that 2016 would be his last. "I sat down with 'Scotty' (Brad Scott) about three weeks ago and told him that I would be finishing up at the end of the year," Ray toldNMFC.com.au. "Although my time at North was brief, I cannot thank the club enough for the opportunity it gave me to extend my career. "The way things panned out wasn't ideal and I would have liked to have played some more footy, but that's the way it all unfolded and I am just glad to have had the opportunity." Ray played 209 with the Western Bulldogs, St Kilda and North Melbourne. He was drafted to the Bulldogs with pick No.4 in the 2003 NAB AFL Draft. He played 75 games with the Bulldogs before he was traded to St Kilda at the end of 2008. He played 130 games with the Saints and was a pivotal part of Ross Lyon's teams that made consecutive Grand Finals in 2009 and 2010. North Melbourne list manager Cam Joyce said Ray had added plenty to the Kangaroos in his one season at the club and expects him to stay in football. "From the moment 'Faz' walked into the club, he slipped in seamlessly and added more professionalism and leadership to the group," Joyce said. "He has a tremendous team-first attitude and displayed some fantastic qualities that our younger players really took on board. "It's our understanding that Faz wants to continue to work in football, perhaps in player welfare, and he would definitely suit such a role." North has also delisted veteran small forward Robin Nahas. The 28-year-old played 34 games with the Kangaroos after joining the club as a delisted free agent in 2013. He previously played 83 matches with Richmond. "North was absolutely fantastic to me and gave me a lot of opportunities at the highest level which I'll always be grateful for," Nahas said. "To be able to extend my career with North for a further three years was fantastic and I'll always cherish my time there." 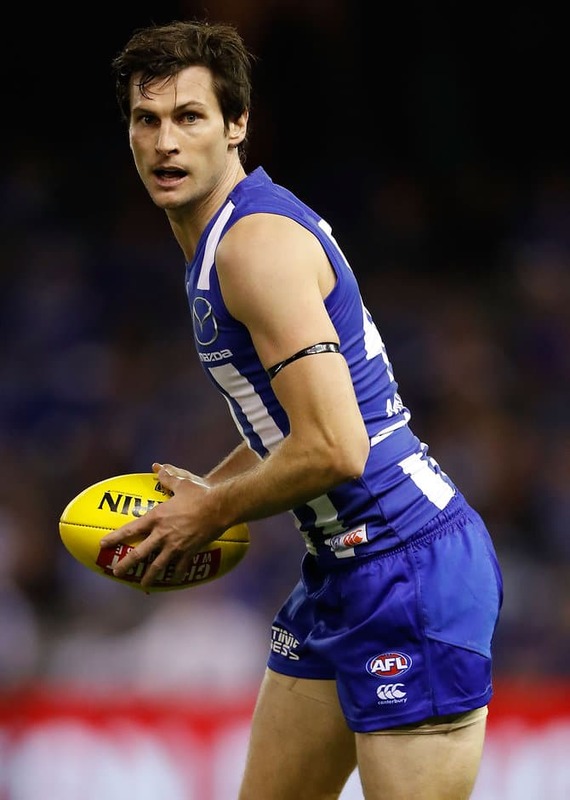 Michael Firrito announced his retirement following North's exit from the finals series but the futures of Brent Harvey, Drew Petrie and Nick Dal Santo remain up in the air after they were not offered contracts for next season.